Intel is working with Facebook and the Open Compute Project to develop silicon photonic connectivity for the next generation of disaggregated server racks combing compute, storage and networking resources. At the Open Compute Summit in Santa Clara, the companies also unveiled a mechanical prototype built by Quanta Computer that includes distributed input/output (I/O) using Intel Ethernet switch silicon. The design will support the Intel Xeon processor and the next generation, 22 nanometer system-on-chip (SoC) Intel Atom processor, code named "Avoton" late this year. 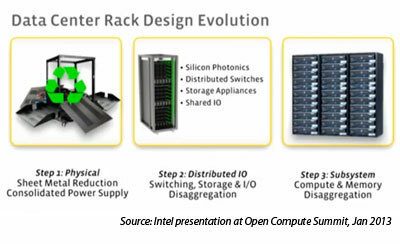 "Intel and Facebook are collaborating on a new disaggregated, rack-scale server architecture that enables independent upgrading of compute, network and storage subsystems that will define the future of mega-datacenter designs for the next decade," said Justin Rattner, Intel's chief technology officer during his keynote address at Open Computer Summit in Santa Clara, Calif. "The disaggregated rack architecture includes Intel's new photonic architecture, based on high-bandwidth, 100Gbps Intel® Silicon Photonics Technology, that enables fewer cables, increased bandwidth, farther reach and extreme power efficiency compared to today's copper based interconnects." By disaggregating compute, storage, networking and power distribution into discrete module in a rack, the data center operator gains the flexibility to selectively upgrade or move components as needed. This provides cost, scalability and speed advantages over traditional, monolithic servers in a box. "We're excited about the flexibility that these technologies can bring to hardware and how silicon photonics will enable us to interconnect these resources with less concern about their physical placement," said Frank Frankovsky, chairman of the Open Compute Foundation and vice president of hardware design at supply chain at Facebook. Intel said it will contribute a design for enabling a photonic receptacle to the Open Compute Project (OCP) and will work with Facebook, Corning*, and others over time to standardize the design. 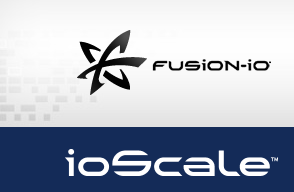 Fusion introduced its new ioScale product line for hyperscale and cloud data center deployments. Each ioScale provides up to 3.2 terabytes of Fusion ioMemory flash capacity with prices starting at $3.89 per gigabyte. The offer was previously previously exclusive to Fusion-io customers outfitting thousands of servers but is now available in minimum quantities of a hundred units. Digital Realty Trust has acquired a three-property data centre portfolio in the Paris area from Bouygues Telecom, France's third largest telecommunications operator, for EUR 60.0 million. The portfolio consists of one Tier III+ facility at Montigny-le-Bretonneux and two Tier III facilities in Bievres and Saclay. The properties total approximately 87,000 rentable square feet, with nearly five megawatts of IT capacity. The deal includes a sale-leaseback arrangement under which Bouygues Telecom will maintain a long-term presence in the facilities, which host its core infrastructure assets. "The acquisition of this institutional-quality portfolio further expands our footprint in this key European market and, equally important, adds a new network and IT service provider to our global customer base," said Michael F. Foust, Chief Executive Officer of Digital Realty. Work has just started on 3GPP LTE Release 12 and major enhancements are planned in capacity, QoE and energy efficiency in macro deployments, according to a new whitepaper published by Ericsson. The gains can be achieved by adding support for enhanced multi-antenna transmission and advanced receivers, and the introduction of a new lean carrier type. 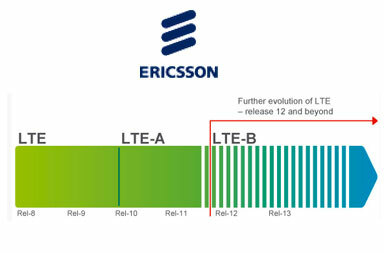 LTE Release 12 is also looking to improve LTE small-cell deployments, and possible to closely integrate LTE and Wi-Fi. deployments. 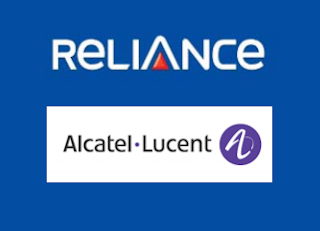 Reliance Communications awarded an end-to-end network managed services contract valued at over US$1 billion to Alcatel-Lucent to deliver seamless voice and data communications services to its customers in Eastern and Southern India up to 2020. Under the fully integrated strategic agreement, Alcatel-Lucent will enhance Reliance Communication’s operations, and synergize hitherto independent wireless and wireline teams to form a single network management organization. The network will proactively assure a high quality and consistent experience for customers regardless of device or type of connection. Alcatel-Lucent said it will set up and operate next-generation OSS (operations support systems) and introduce advanced real-time optimization tools to improve network performance across Reliance’s wireless, wireline, long-distance, fiber and utilities’ functions. “We are happy to announce our new partnership with Alcatel-Lucent, which is a transformative leap from the limited scope and vision of traditional outsourcing of services. This will enable Reliance Communications to take the lead in offering next generation telecom solutions that will meet and exceed the expectations of our customers, and help them to transit from voice-led usage to a seamless data experience across multiple devices and platforms,” stated Gurdeep Singh, Chief Executive Officer, Wireless Business, Reliance Communications. "This business association is an extension of our long-standing relationship with Reliance Communications, and our commitment to India. It also demonstrates our renewed focus on managed services as we apply greater selectivity on more value-added contracts. The enormous scope of this agreement will bring a wide variety of skills, expertise and hands-on know-how that we can leverage for the benefit of others," said Rajeev Singh-Molares, President, Asia-Pacific with Alcatel-Lucent. Reliance Communications has a customer base of about 130 million including over 2.5 million individual overseas retail customers. It has established a pan-India, next generation, integrated (wireless and wireline), convergent (voice, data and video) digital network that is capable of supporting best-of-class services spanning the entire communications value chain, covering over 24,000 towns and 600,000 villages. U.S. Cellular selected Nokia Siemens Networks for the second wave of its 4G LTE network rollout, providing Radio Access Network (RAN) and Mobile Management Entity (MME) technology. The deployment occurred in late 2012 in 11 markets covering select cities in Illinois, Missouri, North Carolina, Oklahoma, Oregon, Tennessee, Virginia, Washington and West Virginia. 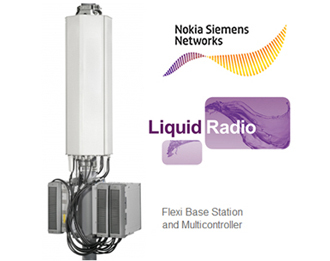 Previously, Nokia Siemens Networks deployed Evolved Packet Core (EPC) and Home Subscriber Services (HSS) in the first wave of the 4G LTE rollout. The installation of the 4G LTE core was included in nine separate markets. 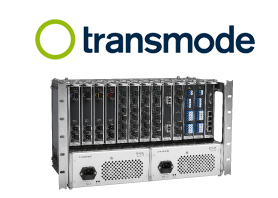 Transmode announced several new Metro and Regional 100G deployments, including customer orders from North America and deployments in Finland with FNE-Finland Oy. The company confirmed its first customer order for its new Metro and Regional 100G solution from an unnamed North American network operator and has been selected for 100G rollout by FNE-Finland, one of that country’s leading alternative backbone capacity providers. In December 2012, FNE-Finland conducted live traffic field trials, including 100G transmission over an 800+ km link, to demonstrate that its network is 100G-ready and can support all-optical 100G connectivity between any two locations in their network. FNE-Finland has now selected Transmode for 100G transmission and plans to start rolling out 100G capacity across the network. Transmode is supported locally in Finland by ACC Systems in the project with FNE-Finland. Transmode said it also performed multiple customer lab/network trials, including an interesting deployment in the Acreo national research network in Sweden. The Acreo network deployment was over 1600 km and involved transmission over both Transmode’s TM-Series and a third party WDM system using an alien wavelength with optical handoff between the two systems. 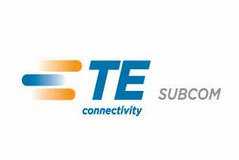 TE SubCom has demonstrated 100 Gbps wavelength coherent transmission over trans-Atlantic distance in a field trial. SubCom’s next generation C100 transceiver is designed to optimize DP-QPSK coherent transmission in ultra-long haul submarine cable systems. The company said its ultra-long solution can reach up to 11,000 km. "SubCom’s latest C100 coherent solutions increase network capacity on both today’s existing undersea cables and tomorrow’s new cables, with reaches up to 11,000km, and utilizing the latest +D fibers," stated Seymour Shapiro, CTO, TE SubCom. 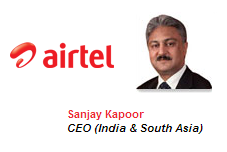 Sanjay Kapoor will step down as CEO of Bharti Airtel for India and South Asia. Gopal Vittal has been named to replace him.